General Motors Co.'s European division today reported a better-than-expected full-year operating loss, which helped its Detroit-based parent post a net profit of $4.67 billion. It is GM's first full-year profit since 2004 and it comes following its U.S. government-backed bankruptcy in 2009. 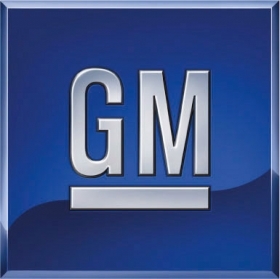 GM lost $23.5 billion in 2009. GM Europe, which includes Germany-based Opel and Vauxhall of the UK, is the only unprofitable division of GM following its reorganization. The European division had a full-year loss before interest and tax of $1.76 billion. That beat the $1.9 billion loss CEO Nick Reilly predicted last November and was much better than the $3 billion loss GM Europe forecast at the start of 2010. Reilly says that GM Europe, which reduced its year-on-year fourth-quarter operating loss to $568 million from $799 million, aims to break even this year and make a profit in 2012. GM is cutting 8,300 of its 48,000-person work force in Europe. A large portion of those jobs came when GM Europe completed the closure of a factory in Antwerp, Belgium, at the end of 2010. GM Europe sold 1,662,000 vehicles last year, down slightly from 1,668,000 in 2009. Opel/Vauxhall's full-year sales slipped to 1,178,00 from 1,209,000 while Chevrolet increase sales to 477,000 from 426,000, according to company figures. In a statement announcing the results GM CEO Dan Akerson said: "Last year was one of foundation building. Particularly pleasing was that we demonstrated GM's ability to achieve sustainable profitability near the bottom of the U.S. industry cycle, with four consecutive profitable quarters." GM's costs rose late last year as the automaker accelerated the development of new and re-designed cars and trucks, squeezing profits. Revenue rose 30 percent to $135.59 billion in 2010. In the fourth quarter, revenues rose 17 percent to $36.9 billion.